ArenaNet has revealed the newest Mastery coming with Guild Wars 2: Heart of Thorns. 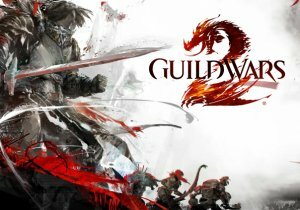 The Mastery system is one of the key features in the upcoming expansion to Guild Wars 2, introducing a new way for players to grow and progress their max level characters. The newly revealed Mastery track helps players with the ultimate endgame pursuit – their Legendary Journey. Previously, highly sought-after weapons were available through the Mystic Forge, purchased on the trading post, or through drops from enemies or chests in-game. In Heart of Thorns, players can elect to invest Mastery points in the legendary crafting track, setting them on the journey to acquire their legendary weapon. A related new addition arriving with the expansion is the Map Bonuses System. This new mechanic adds regularly rotated bonuses to explorable maps offering players crafting materials as a reward for completing events. With this system, searching out crafting materials will be a more streamlined experience. It also offers players incentives to return to areas to earn the materials they need. More details about how these new systems intertwine and improve the crafting experience in Guild Wars 2 can be found in the official blog linked here. From July 8th to July 11th, LoA2 has prepared a host of exciting Euro Cup themed events and rewards for players to enjoy!